Our practice revolves around our patients and our community! Significant to our understanding of the demands required of modern patient care is our responsibility as part of a premiere Morris community of healthcare providers. We maintain this advantage through continued education. The results are a broadening range of therapies, therapy refinement and an ongoing examination of developing trends. Our dental facility is a place where the genuine care and comfort of our guests is our highest mission. We pledge to provide the finest personal service and clinical setting for our patients, who will always enjoy a warm relaxed yet refined ambiance. Along with clinical success is our desire to instill a sense of overall well-being while fulfilling even the unexpressed wishes and needs of our patients. Our office is committed to using the most advanced and proven technology that is available to the practice of dentistry. The benefit this has to offer along with the concurrent training of all staff members, allows a distinct advantage in achieving patient comfort and clinical success. The preservation of your own tooth through a clinical procedure which interdicts the pathological dental process in order to preserve and stabilize the tooth so that the patient can enjoy years of its further use without discomfort. 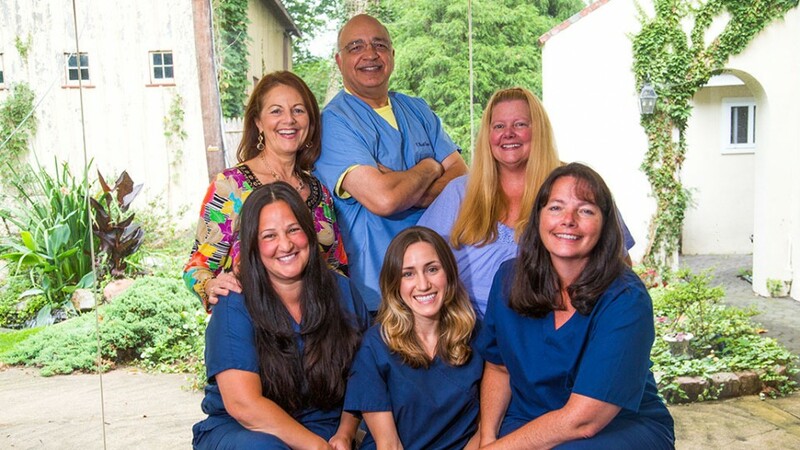 Referrals - Over many years of partnership and concurrent therapies, our offices developed outstanding relationships with some of the premiere orthodontic practitioners in the Morris County area. Therapy - There is provision within our orthodontic service to provide limited orthodontic correction via traditional and progressive (invisible braces) therapies. We are confident you and your family will gain a comfortable dental experience with us. We are proud to offer you quality dentistry at an affordable price. We truly want to help you get out of pain or address any dental needs you have. So, we’ve created multiple ways to provide dentistry – you solely deserve – at your own budget. Care Credit Line is available. yes, we offer in-house insurance. · Discount on office products. ©2015 R. Merritt Brown DMD. All Rights Reserved.